Are all funnel clouds tornadoes? 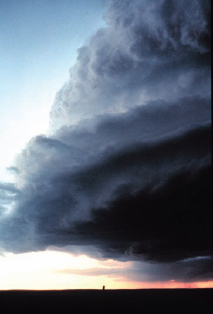 No, in order to be classified as a tornado, the vortex needs to touch both a cloud above and the ground below. If it does not, then it is just considered to be a funnel cloud. Also, not all tornadoes have visible funnel clouds. If there is not dust and debris in the vortex, the tornado may be invisible or nearly invisible to the naked eye. Interestingly, you can have a tornado without a funnel cloud, because a cloud that descends to the ground without rotation can also be categorized as a tornado.